Are you ready to reach new heights though 3D technology integration? Alignex customers share their engineering technology stories. Our customers come from various industries: manufacturing, aerospace, automotive, agriculture, medical device development, and more. We work closely with customers to help them become more competitive, especially in increasingly difficult markets. Our primary goal is to help integrate powerful development software, efficient data management systems, and comprehensive training so customers can create products faster, with more capabilities and less cost. Super Radiator Coils has been providing high-quality products since 1928, and has a long tradition of excellence and unparalleled customer service. Some of their competitors are good at engineering and some at manufacturing. Super Radiator Coils makes sure they are superior at both. Command Tooling Systems, along with their parent company EWS out of Germany, designs and manufactures precision CNC toolholding products for a variety of industries. 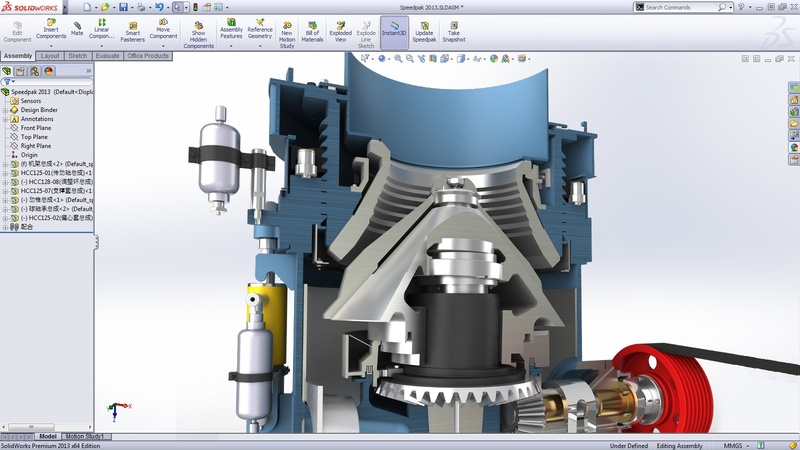 Utilizing advanced technologies, like SOLIDWORKS solutions, allows them to continually produce new and innovative tooling options for the industries they serve. Scranton is breaking new ground in the trash collection industry with the development of new products to help solve the landfill crisis. Utilizing training from Alignex and advanced technologies, like SOLIDWORKS Premium and SOLIDWORKS Composer, has allowed Scranton to streamline their design process and establish them as an industry leader in new product design. AMS Bowfishing is known as the founder of bowfishing and the undeniable industry leader. With 35 years of Bowfishing innovations under their belt and over 100 years of combined experience in Bowfishing – they are different by design. SOLIDWORKS 3D CAD helps them stay that way. By leveraging SOLIDWORKS solutions, SGI, a leader in technical computing, reduced ongoing MCAD costs without a loss in productivity or functionality. Since moving from 2D to SOLIDWORKS 3D CAD in 2012, Valley Dairy has tripled the number of products that they develop annually. They also recently added SOLIDWORKS Electrical 3D to develop associated electrical systems for their products. From start to finish, each design is built the PS DOORS way. Utilizing a complete design and manufacturing team along with 3D CAD design, design automation tools and fully integrated ERP manufacturing software, they pride themselves on providing solutions, not just a product. With the help of SOLIDWORKS solutions and support from Alignex, Scott’s – Bell 47 has achieved their goal of manufacturing, designing, changing and certifying the spare parts necessary to keep the fleet of about 1,000 Bell47 aircraft safely flying. Roll-n-Go is a small company achieving great success in the water sport industry. With an innovative method product for docking both small boats and personal water crafts, they have become a leader in shore docking systems. Dealing with large quantities of bulk materials can be a messy, difficult proposition. Material hang ups, loading and unloading and just keeping materials moving can put employees in dangerous situations. Pneumat Systems keeps employees out of harm’s way by adding safety to the process. As primarily a technology-development company, PlastiComp offers their customers deep industry experience, ongoing research and development, and design agility. Utilizing the support of Alignex and the SOLIDWORKS family of products has helped make PlastiComp uniquely positioned to provide their customers with intellectual advancements that improve product performance and business positions, often in unimagined ways. MTS Systems Corp. is using SOLIDWORKS 3D CAD software to more efficiently design, configure, and assemble the testing products it develops for customers across a broad range of industries. Their products include road simulators for automobiles, earthquake simulators for buildings, frame testers for aircraft, wear testers for biomedical devices, and a variety of sensors. Vermeer is a global leader in the manufacture of machinery and equipment for agricultural, tree-clearing, and excavating purposes. Incorporating the SOLIDWORKS family of solutions has helped Vermeer enhance the style and improve the performance of its products.